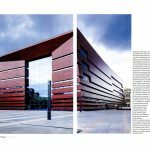 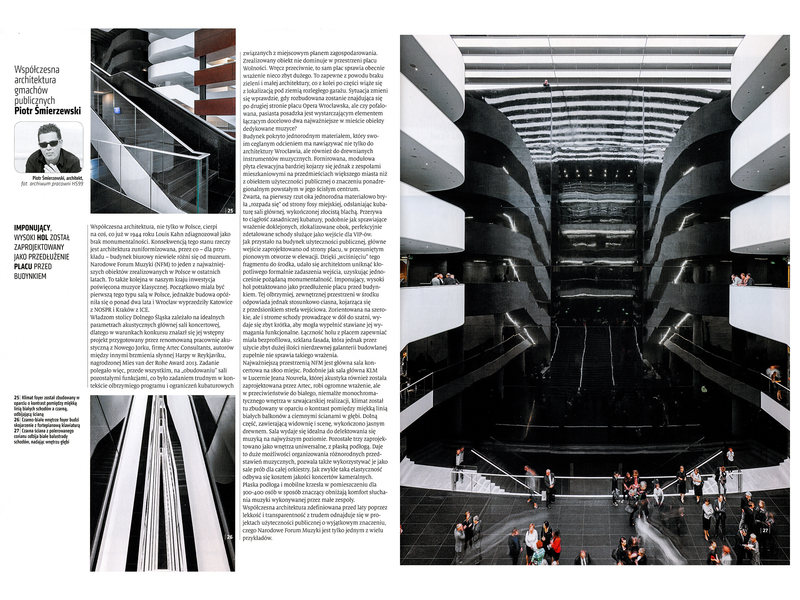 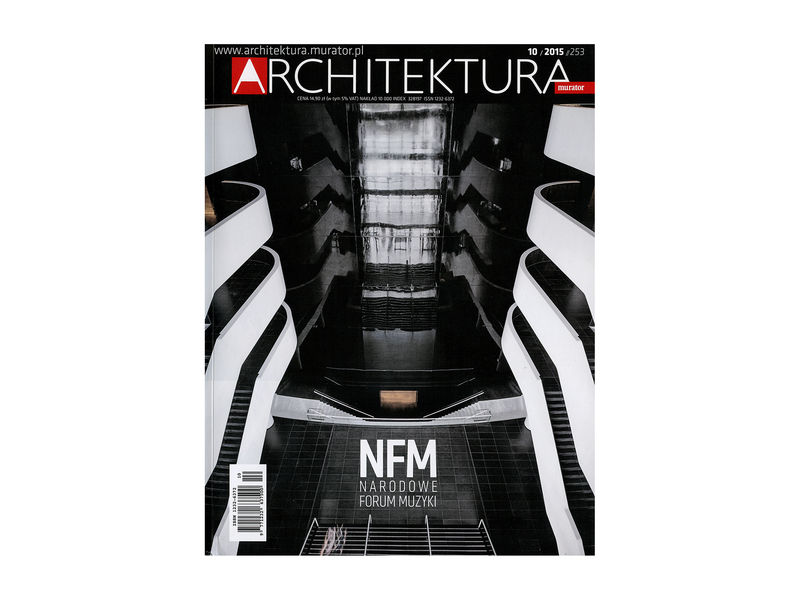 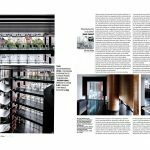 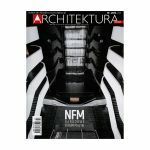 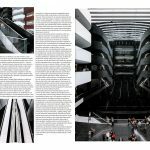 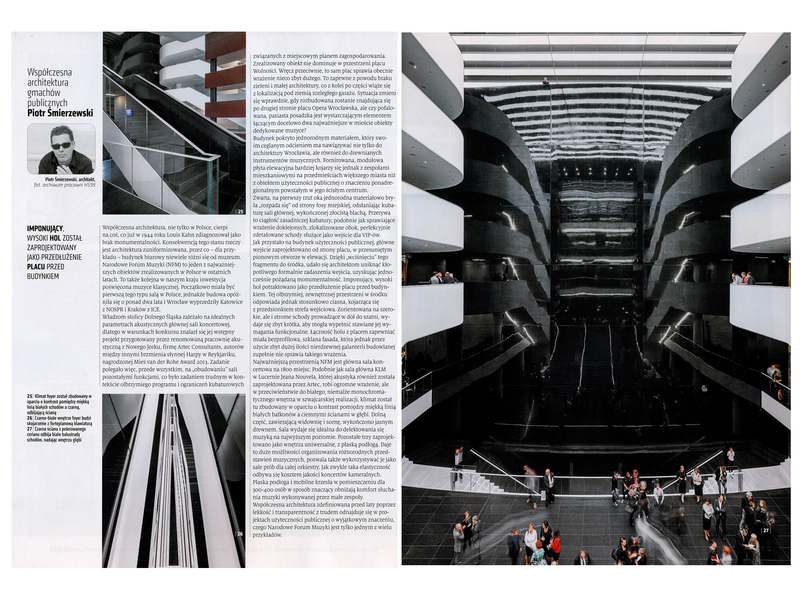 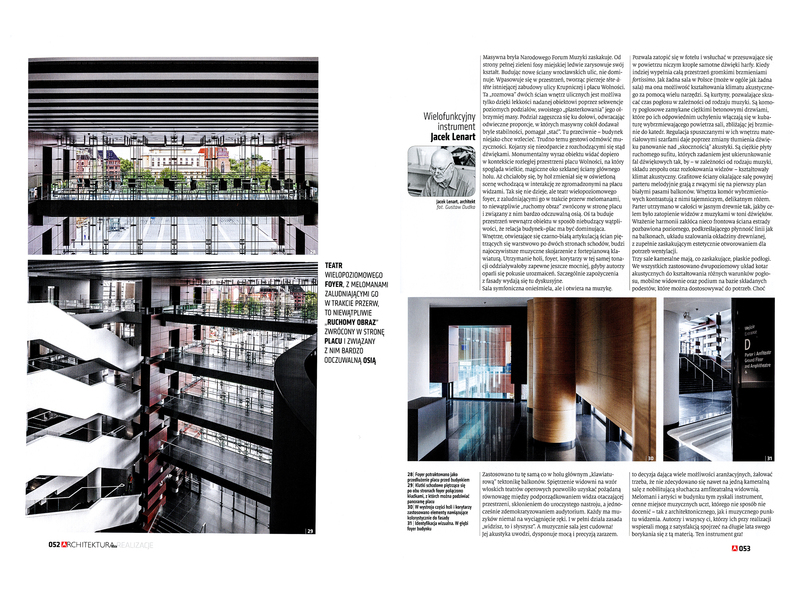 Piotr Smierzewski critical review of NFM in Wroclaw in the latest issue of Architektura-Murator monthly. 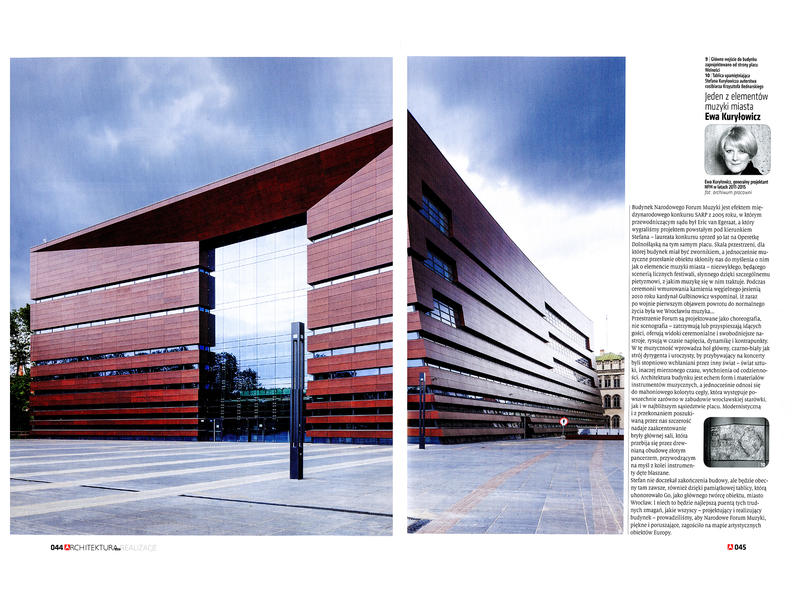 Before 1945, the centrally located city square, now called Wolnosci, was surrounded by museums and galleries, which created an Art Forum. 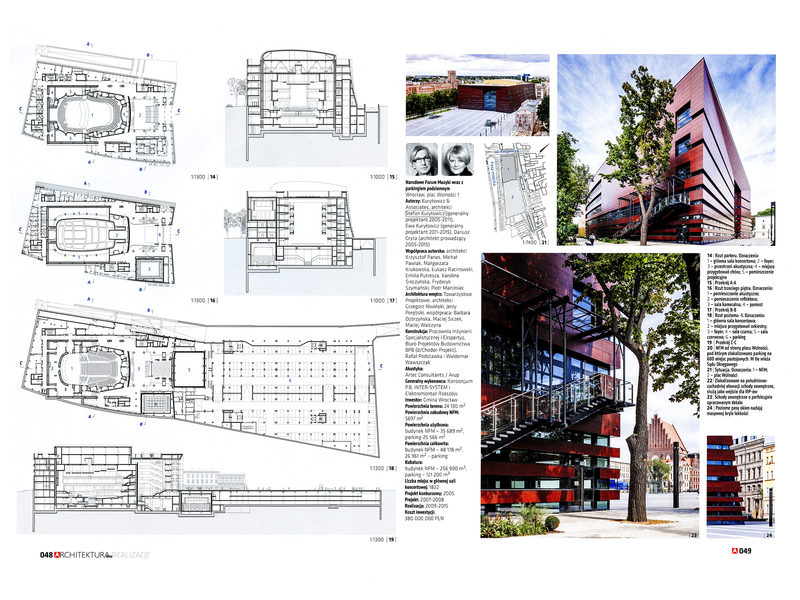 Heavily destroyed, it remainded a vast open space; only a theater building (now occupied by the Wroclaw Opera) survived along with fragments of of the royal castle,where the City Museum was located, and another wing is now beeing adapted for a Theater Museum. 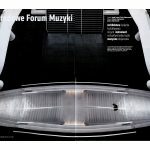 The city authorities decided to recreate the Art Forum idea and announced an international competition for a new concert hall in 2005. 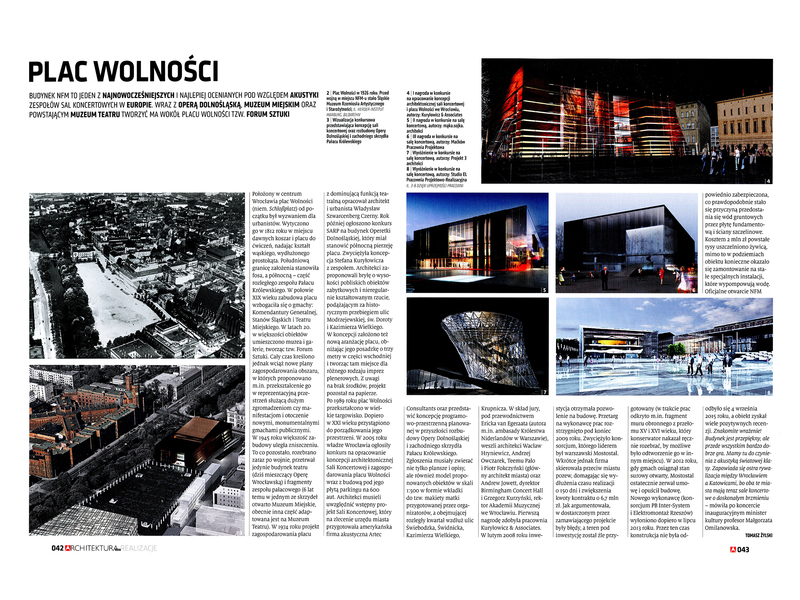 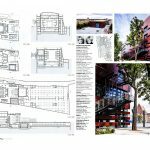 In their design, participants had to make use of an earlier-commissioned acoustic design, but also propose an outline of a future expansion of the Wroclaw Opera, the reconstruction of the castle west wing, and a parking garage under the square. 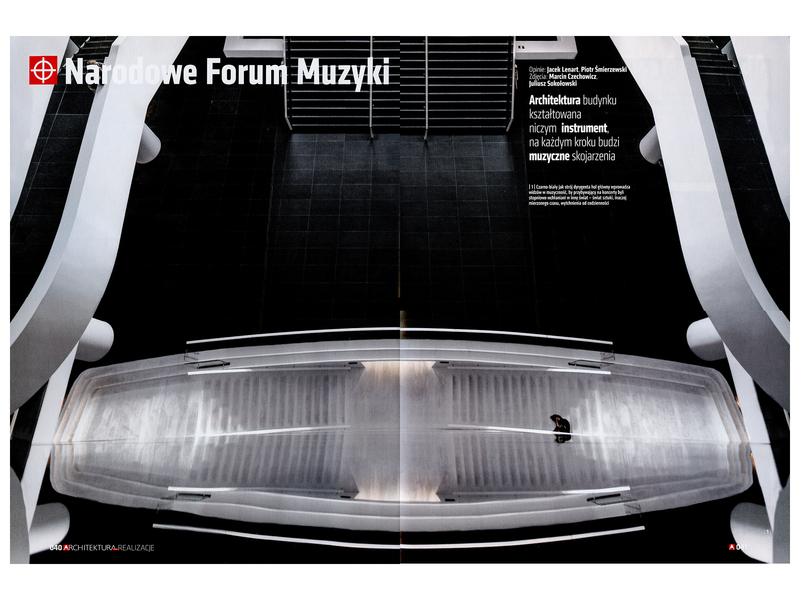 The winners, Kurylowicz & Associates, designed a building, which – as they say – wholy refers to music: it echoes forms and materials of musical instruments (wood on the facades, black-and-white main foyer interior like piano keys, golden metal protrusion of the main hall referring to brass instruments). 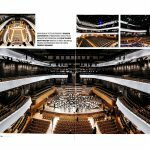 Four concert halls are built according to the “box in the box” formula. 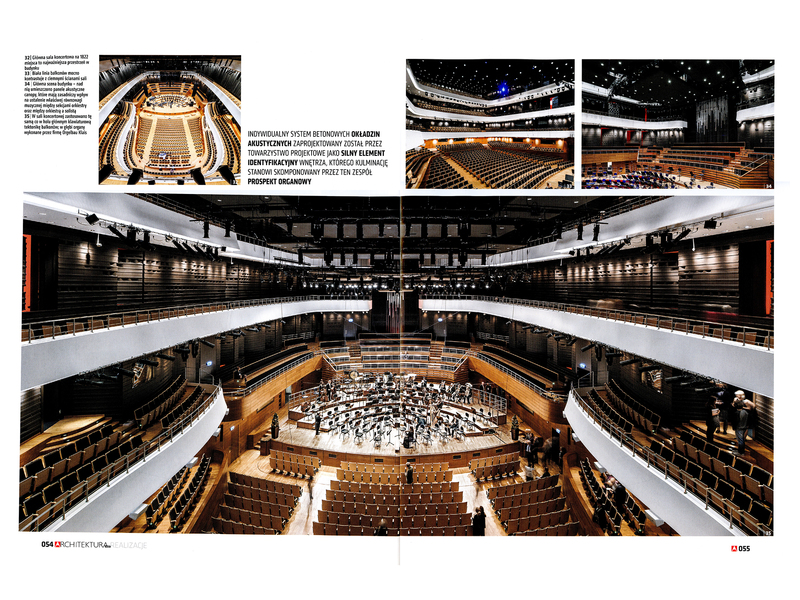 The main hall has a vary advanced acoustic system, with moveable overhead canopies and wall curtains. 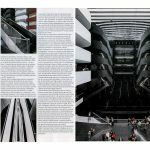 The other three halls have level floors and may be used for various purposes and music genres.